Launched one year ago, Google is celebrating the birthday of My Account. 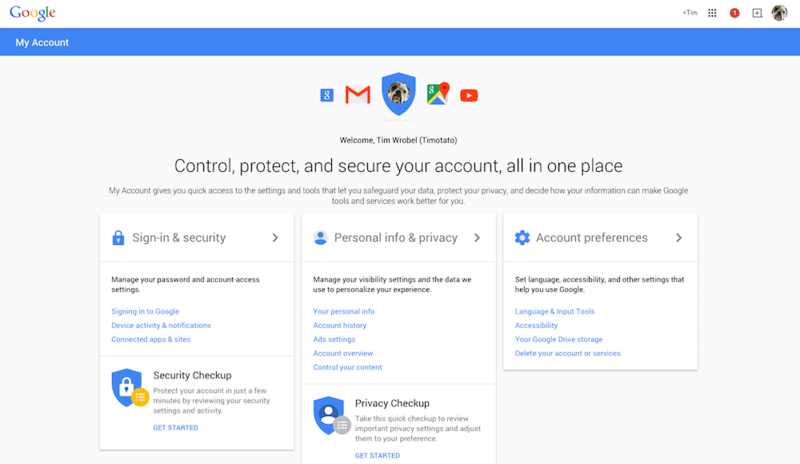 To make it fun for everyone, the company is bringing a few new features that will make managing your Google account a bit more simple. My Account is the place to access all of your Google account settings. You can see connected device settings, all of the information you share, receive an overview with privacy checkups, and starting this week, you can even use My Account to find your lost smartphone. Located directly on the My Account page, a section for “Find your phone” can be seen, which brings up a list of your connected devices. If the device has contacted Google’s servers recently, you should have no troubles getting a mark on where it might be. Additionally, if your phone is really gone (like, stolen or something), you can remotely wipe it so long as the device is on and connected to the servers. This same functionality can be done via the Android Device Manager site. Google is also baking in ways to access your account via Google Search. Coming soon, users can say, “Ok Google, show me my account,” with the search then leading you directly to My Account on the mobile web. Not yet available, a secondary option is to type your name directly into Google, with the results returning a “Go To My Account” shortcut. Just another way to make access to your personal data easier for you.